The Prohibition Era brings to mind the Mafia and the government G-men who sought their elimination. But there is also a maritime component to this story. Ellen NicKenzie Lawson examines the movement of illicit spirits to the New York Metropolitan area. Local Long Island smugglers traveled to foreign ‘wet’ markets, such as Bermuda, to pick up their cargo. Utilizing local geography, weather, and contacts they evaded Coast Guard blockades to deposit their cargo with Manhattan Mafiosos who then supplied reputable speakeasy consumers. While geared to a popular audience, Lawson’s evidence evokes some of the larger themes of Transatlantic history. The study not only links Long Island to New York City, but also to a greater transnational maritime culture. This work provides useful data that expands beyond our national compartmentalization of the Prohibition Era. This is also a story about state power and the attempt to control the seas. Called the “Rum Wars,” Coast Guard cruisers observed, chased, and occasionally attacked rum runner sloops. They fought along “Rum Row” a narrow sector more than twelve miles offshore where the nautical national boundary met international seas. Long Island smugglers devised clever methods to evade government officials. They built hidden compartments in their vessels, registered their ships with foreign governments, and even used submarines. While the Coast Guard often unleashed gunfire on suspected ships, smugglers would hesitate to return fire and instead sought refuge ashore. Due to subterfuge, all vessels were stopped and oyster sloops, coal barges, and yachts were suspect. Ships as large as ocean liners took part in rum running. All cargo was subject to search and seizure. Captured crews faced imprisonment, fines, and the impoundment of their vessels. Despite expanded blockades and increased penalties only the repeal of Prohibition settled the contested battle for sea dominance. Many Long Island locations, besides “Rum Row,” were involved in the “Rum Wars.” Lawson details how smugglers preferred Long Island Sound not only because Connecticut and Rhode Island never ratified the 18th Amendment, but also because they delivered spirits to Gold Coast estates. They utilized many harbors and inlets, such as Huntington and Oyster Bay to distribute their cargo. Orient Point was a common landing point. An aerial patrol “saw hundreds of people carrying liquor sacks and cases up the beach…like ants carrying eggs.” Prominent residents of Bay Shore, the Hamptons, and Rockville Center funded smugglers and assisted in transporting alcohol from ship landings to Manhattan. There were also speakeasies on Long Island. Claudio’s Seafood Restaurant in Greenport employed trap doors to hide its supplies. Lawson utilizes Coast Guard records, sailor memoirs, and newspapers to provide a rich source base for the study. As a result, numerous individuals and their involvement in maritime smuggling appear throughout the text. Yet often these appear as disconnected vignettes. We learn intricate details of one experience and then jump to then next without an analysis of how they are linked and contribute to the overall investigation. Future studies might also want to explore the origin point of the illegal alcohol. Were these “wet” markets actively seeking to pierce the “dry” American market? Or was this merely a case of active smugglers seeking the closest market available? Finally, Lawson excels at establishing the local origins of the Long Island rumrunners. But what about the Coast Guard crews? Were they staffed by locals? If so, this might not be the history of distant government officials policing criminal sailors but an example of local maritime communities torn between supporting state edicts and circumventing them. 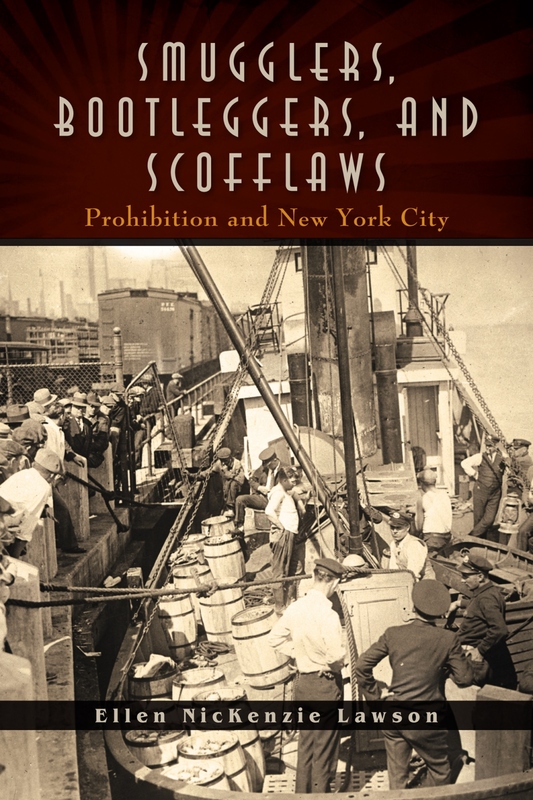 Lawson concludes by arguing that “smugglers, bootleggers, and scofflaws were an effective, informal resistance movement” which ultimately contributed to the repeal of Prohibition. She maintains that these rebels fit within a long American tradition of resistance against the state. As evidence she briefly discusses smuggling during the British Navigation Acts (1783), the Whiskey Rebellion (1794), and the Fugitive Slave Act (1850). Unfortunately, this interesting argument does not show up until the conclusion. Despite this, the book’s real strength lay in its nautical history. For scholars, this work will signpost areas for additional research. Future studies may want to further examine the extent of Long Island smuggling into the Atlantic while exploring whether this was truly a transoceanic phenomenon. If so, similar smuggling networks may have flourished outside other coastal cities. This rich volume excels at storytelling and general readers will finish the text with an in-depth understanding of the individuals that evaded the laws of the sea.